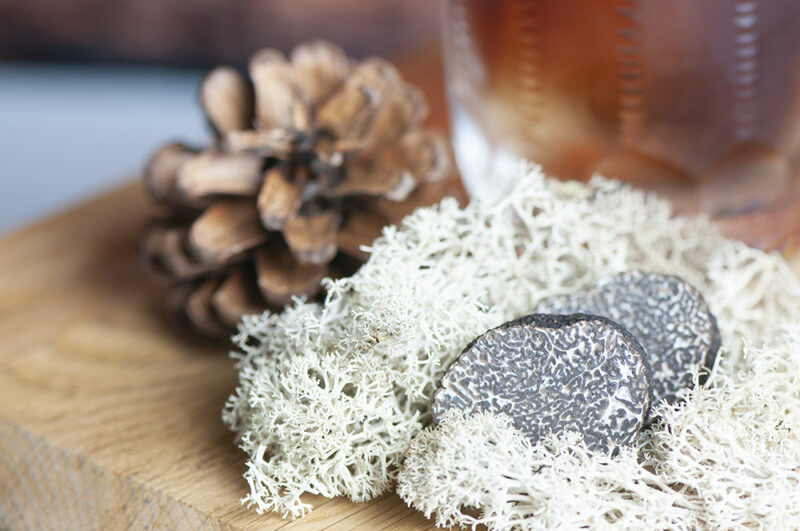 With the peak of black truffle season upon us, we decided to include this delicious, pungent, earthy and musky flavour profile in some of our luxury drinks. Below are a couple of recipes which we created for one of our clients earlier this month. 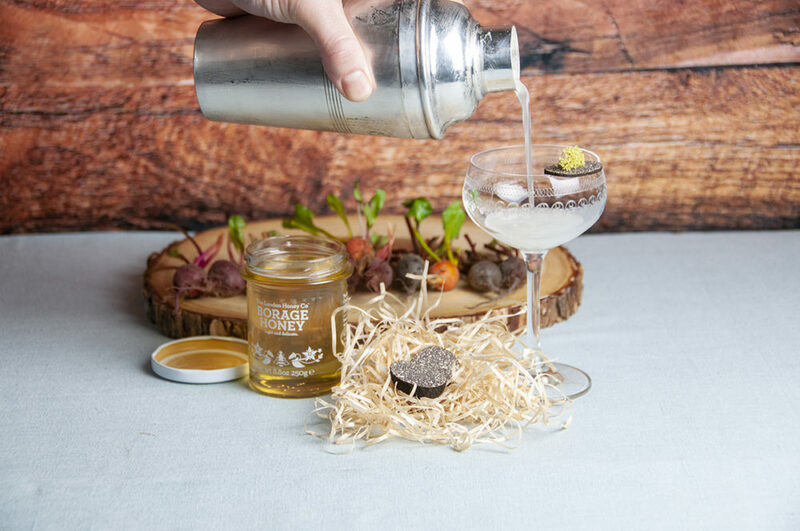 The first drink, “Truffle & Pear Tipple” was served as an aperitif where we combined light fresh notes such as citrus and honey with the truffle. 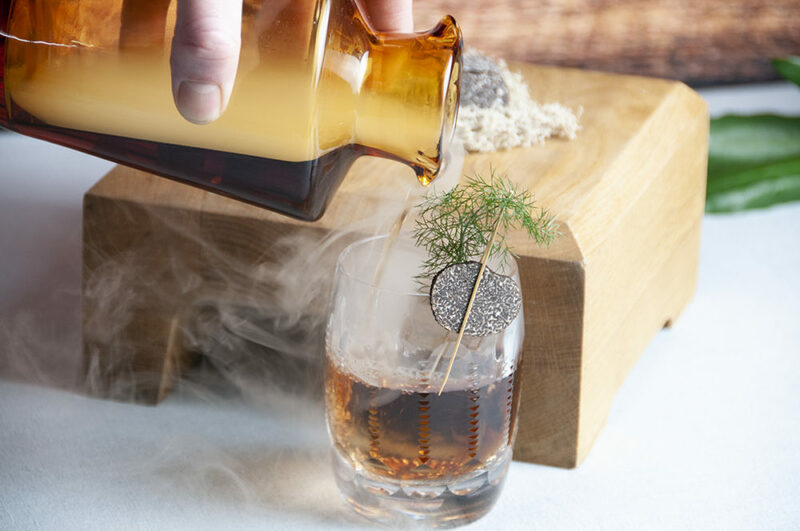 A savoury winter inspired luxury drink, full of flavour with a smokey touch. The blend between the rich brandy, the complex sherry with its light bitter orange aroma and chestnut notes works perfectly with the musky and earthy truffle. Lightly smoked with alder and a touch of Ling Heather honey for sweetness. Seasoned with a hint of bronze fennel. To ensure we got the right amount of flavour we let approximately 25 grams of truffle sit in 700ml of Château de Laubade Bas Armagnac VSOP for around two weeks. Then kept tasting it every other day to ensure the balance was good and used the remaining truffle to make infused honey. 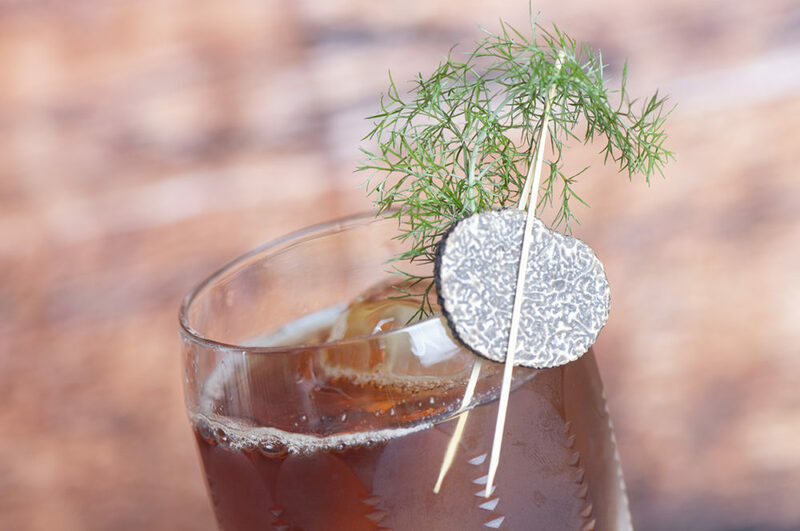 To add the smokey flavour you have to be very gentle because it can easily overpower the drink and therefore make it unbalanced. 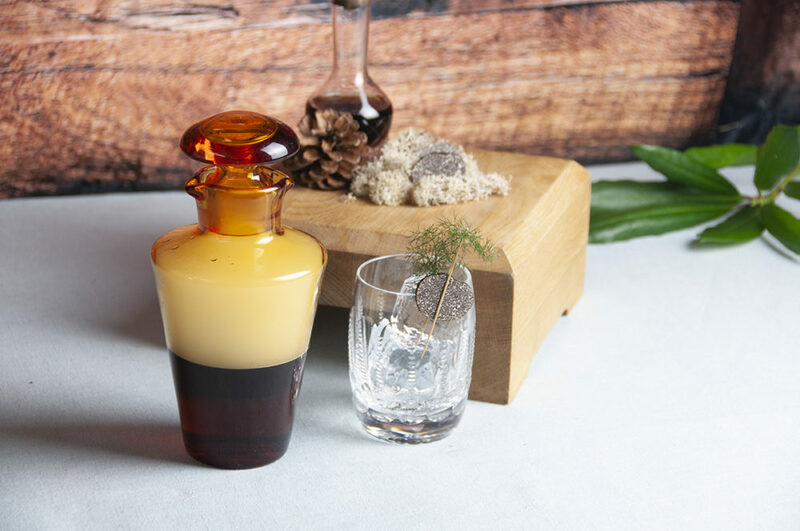 We simply lit a small amount of alder wood chips in a smoking gun, applied the smoke along with the drink into a glass shaker and let it interact for a few seconds by gently shaking. Then pouring the content over carved slow frozen ice shards. Here it’s all about regularly testing and seeing how much smoke you think complements the drink and most importantly that it’s not too much. The earthy element of the truffle really elevates the pear. Combined with the light character of the Genever, borage honey and citrus, balanced with the rich and full-bodied Sauternes, makes a perfect aperitif. Not too sharp or too sweet, but wonderfully complex.